The most common reactor type in operation worldwide is called the Light Water Reactor (LWR). 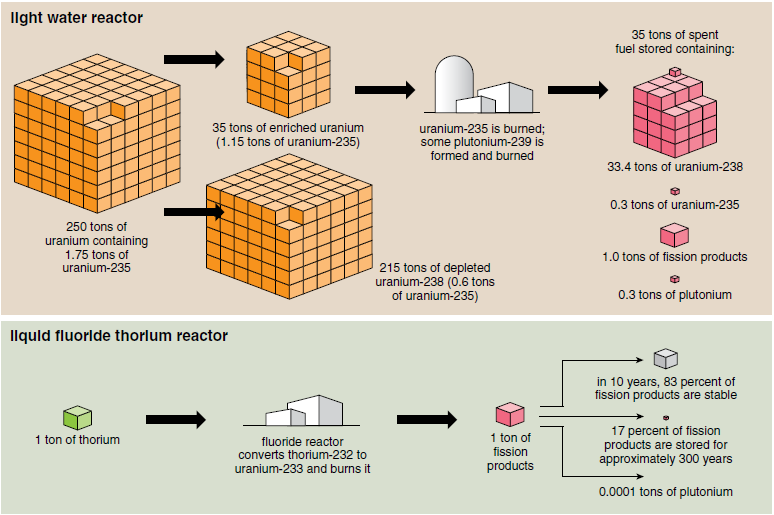 The uranium used in light water reactors is enriched, meaning that it contains about 4% 235U and 96% 238U. 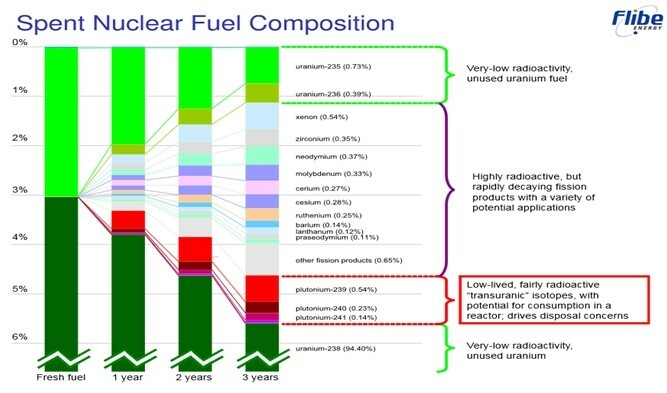 Most of this 238U cannot be used by the light water reactor and is left over after the fuel has been used. A small percentage of the 238U gets transmuted into fissile plutonium, and even though the percentage is small, after a 3-year operating cycle this small percentage supplies about 30% if the fission power. In principle, 238U does contain roughly the same amount of energy as 235U, but the energy contents of 238U can only be utilized with a different type of reactor called a “fast reactor”, a technology that generally lacks sufficient policy support in the western world. 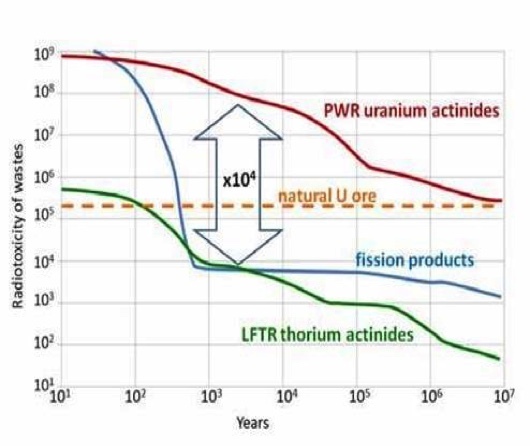 The use of light water reactor however, without the availability of fast reactors, implies the present nuclear technology only uses a fraction of the energy contents of the natural uranium, and the fuel cycle is not closed.